I’m back! Sorry it’s been quiet around here again. I’ve been away from my kitchen and computer and was beginning to get baking withdrawal symptoms. Anyone else get that? The NEED , not just the want, to bake something? Anyway, I hope these make up for my absense… These cute little cupcakes are 100% vegan, wholemeal, gluten-free, naturally sweetened and coloured and so so delicious! The cupcake itself is adapted from the carrot cake in Flying Apron’s Gluten-Free & Vegan Baking Book with a few minor alterations. It’s topped with a frosting made from cashew and coconuts, to create a sort-of-but-not-really cream cheese taste. Ok, so the topping isn’t really much like cream cheese at all but it’s the nearest I could come up with and it tastes amazing anyway! My favourite part though is the cute little handmade marzipan carrots… I’ve experimented with vegan (and raw) marzipan decorations in the past. In my Christmas Pudding Bites and Raw Chocolate Easter Egg Nests I used a raw marzipan recipe, very similar to the one below and some spirulina powder, tumeric and freeze dried strawberry powder for colouring. 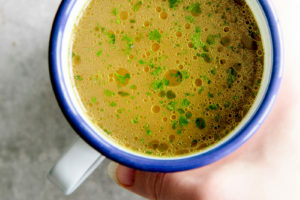 For the orange colour in this recipe, I used carrot juice, concentrated down with some arrowroot powder for a vibrant but not too runny colouring, it worked wonderfully! Sorry for the long recipe below, I promise it’s not too complicated or time consuming though! And if you’re wondering where to get brown rice flour, it’s available at most health food shops. 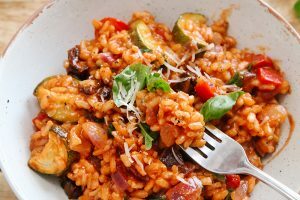 You can also make your own at home by grinding brown rice! Chickpea flour is available in most supermarkets or Asian food shops. Makes 20 delicious, healthy, allergy-friendly and adorable cupcakes! Preheat the oven to 170c / 350f and line 2 muffin tins with 20 paper cases. Combine the brown rice flour, gram flour, baking powder, spices and salt together in a large bowl. In another bowl, whisk together the coconut oil, water, maple syrup and vanilla. Slowly add the dry ingredients to the wet ingredients. Once mixed, fold in the grated carrot, dessicated coconut, nuts and raisins. The batter will be quite thin but don't worry! Pour the batter into the prepared muffin tin and bake for 25-30 minutes until golden brown on top and a toothpick inserted into the centre of the cupcake comes out clean. Allow the cupcakes to cool fully before adding the frosting. 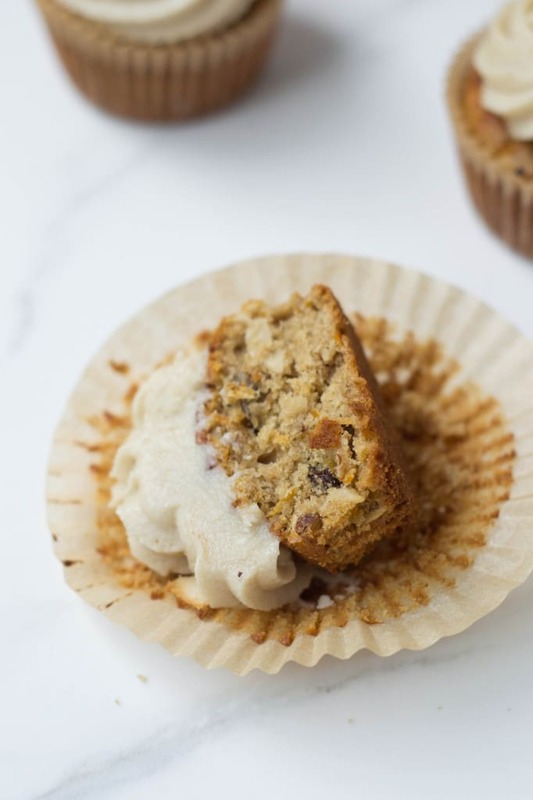 Whilst the cupcakes are baking, make the coconut cream cheese frosting by simply mixing all the ingredients together in a high powered blender or food processor. Make the mixture as smooth as possible. You may need to add a little more liquid to get your blender going but don't add too much as you need a thick mixture. Once blended, keep in the fridge to cool and thicken some more until later. You can use shop-bought natural orange food colouring but if you would rather make your own... take 1 tbsp of the carrot juice and mix it in a cup or small bowl with the arrowroot powder until smooth. Pour the rest of the carrot juice in a small saucepan and bring to a boil. Once boiling, whisk in the arrowroot mixture and stir until thickened and concentrated. 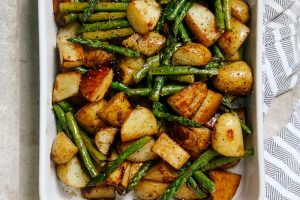 Lower the heat and cook for a further couple of minutes and then remove from the heat and leave to chill in the fridge. Now you have orange marzipan! Roll a thumb-sized piece of the marzipan into a small ball and then into a sausage shape, tapering at one end to create a carrot shape. Use a sharp knife dipped in cocoa powder to create lines around the carrot. Finally, flatten the top of the carrot slightly and pierce it with a rosemary sprig or parsley leaf. Once the cupcakes are fully cooled, pipe the chilled frosting on top. Adorn with the marzipan carrots and serve! Oh what a recipe! Amazing! I want to know if I could substitute brown rice flour with normal white rice flour and omit dessicated coconut. 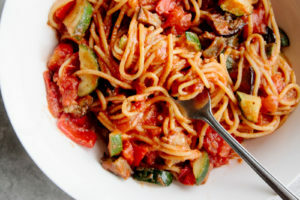 Hi, this recipe sounds wonderful but since I couldn't find a few of the ingredients I was wondering if I could make them with regular flour (don't need them to be gluten-free). Also, I wanted them to be more simple so I was going to avoid the raisins and the desiccated coconut. Would that work? (I'm new to baking stuff, sorry) I would appreciate your response! Thank you! Hi Othir, you could definitely try but I don't know how it will turn out as I haven't tested it without those things. 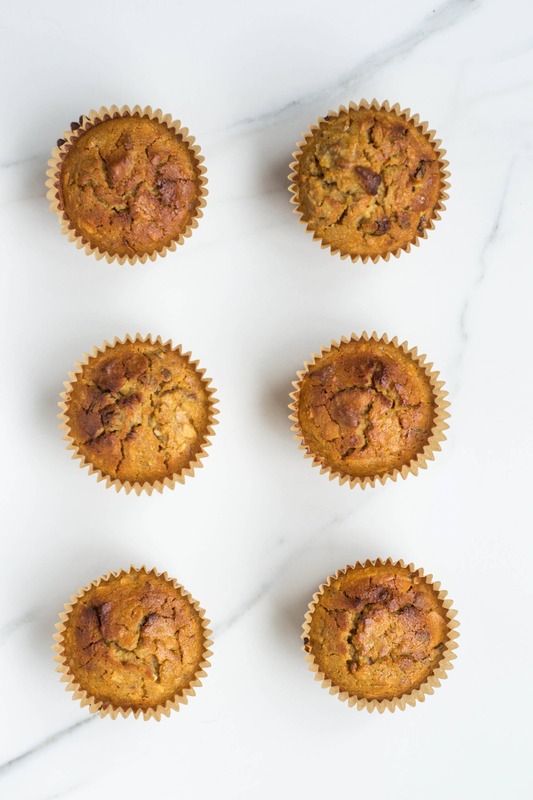 I also have a non-gluten-free carrot muffin recipe that you could use as the cupcake base: http://wallflowerkitchen.com/carrot-cake-breakfast-muffins/ you can remove the raisins if you want and use regular flour in place of the spelt (equal amounts). Let me know how you get on! Hi, just wondering if these cupcakes could be made into one whole cake? I've not tried it so honestly can't say but I don't see how it could be too different, other than adjusting the baking times. Let me know if you try it! So yummy! That seems amazing. Love love love this! So cute and perfect Aimee! These look gorgeous - I'm a big carrot cake fan. These cupcakes look amazing, Aimee! 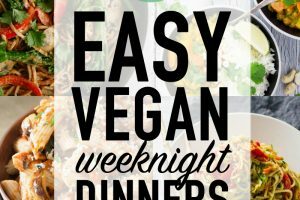 Loving the vegan aspect! Love carrot cake, these look amazing! Carrot cake my favourite! Those little marzipan carrots are so cute and if they were anywhere near me I would eat the lot marzipan is my favourite!! 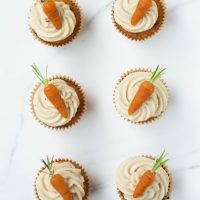 Wow, Aimee, these beautifully designed carrot cake cupcakes look utterly adorable and tempting to eat…I love that they are naturally sweetened and colored, they look like perfection. Your handmade marizpan carrots are so beaaaaautiful, you are a true baking artist…I’m happy you’re back on blogging, the last few weeks have been insane, I hope to catch up with blogging and get on that review for you sometimes soon this month! These are ssssoooo cute! I absolutely love the marzipan carrots! They look so realistic! Pinned! I think my favourite part are the little carrots. I am amazed at how intrepid you are in the kitchen. Your natural die recipe will be a must for me now! 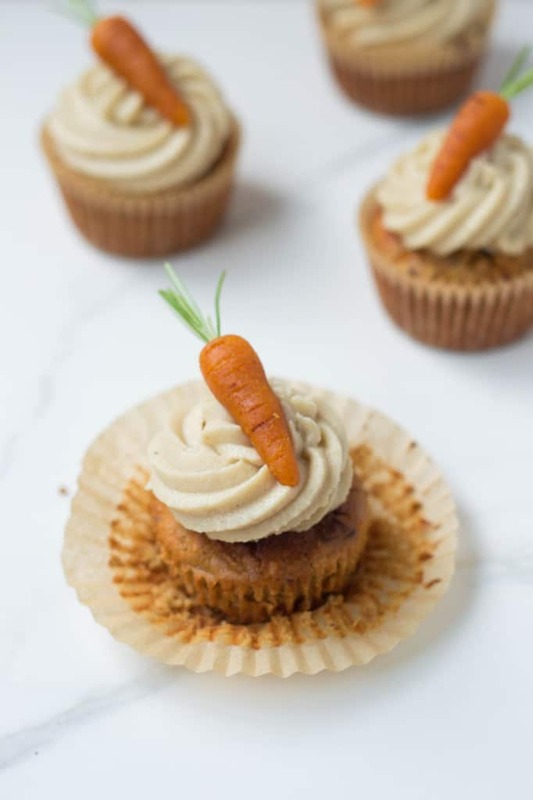 Amazing cupcakes, I love the mini carrots! Especially that they are coloured with carrot juice! They look so realistic. These are so, SO beautiful! I love the marzipan carrot creation! I"m going to try and Paleo-fy these soon, they look amazing! Rosemary for the carrot tops?! You are so clever and holy buckets how talented!! 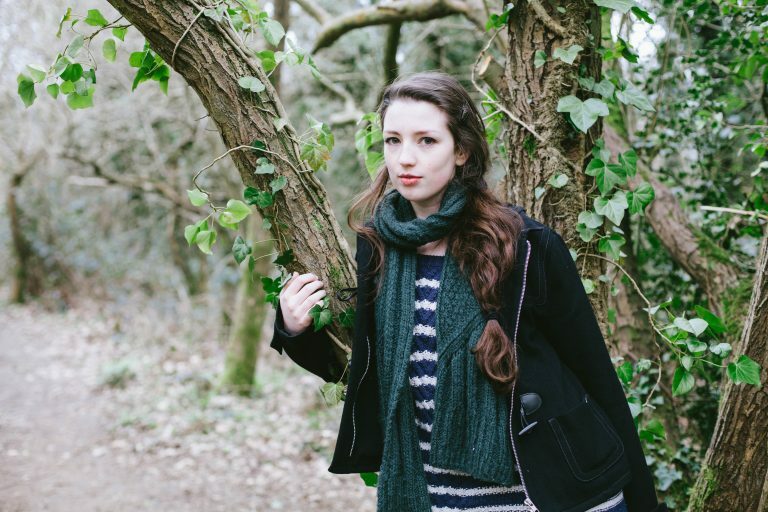 These are absolutely gorgeous, Aimee! These are absolutely adorable! You are such an amazing baker! ♥ I'm not a very confident at GF baking yet but I'm definitely going to give your recipe a whirl :o) Cashew cream frosting is my favourite frosting ever! Rather than soaking the cashews these days I tend to just boil them for 15 minutes and they get soft enough for my magimix to blend smooth. When I saw these on Instagram I stopped for a minute and just admired them. I mean they are quite possibly the cutest cupcakes I ever seen in my life. I'm kinda smitten over these. Sigh. I love what you do here on your blog - genius! and I absolutely LOVE these cupcakes, they are so adorable! So loving these cupcakes! 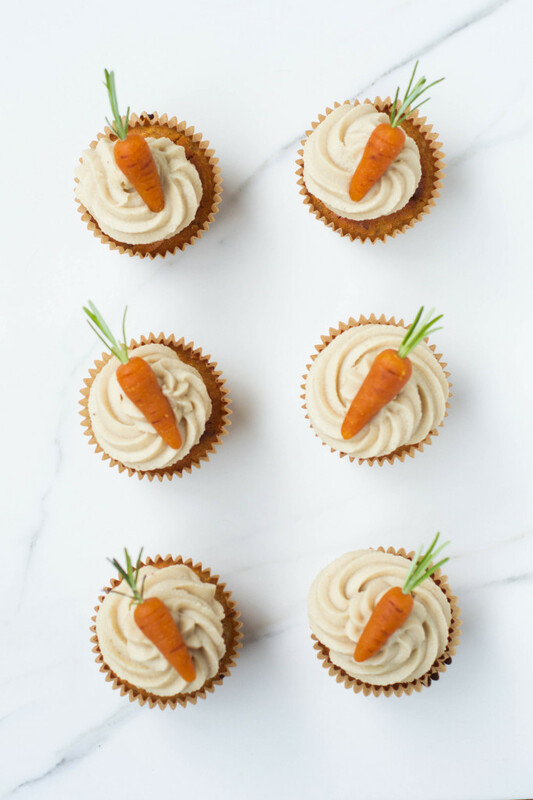 That frosting sounds incredible - and those raw marzipan carrots are adorable! Wow, Aimee! You always make healthy baking look so enticing. I love the look of these, and the frosting sounds so delicious! Those carrot toppers...I seriously had to squint at my screen when I saw them. They look so very real! I don't need to eat allergy free foods but I want to so I can have these! My gosh these are so cute! I love the little carrots on top. I totally understand that feeling of needing to bake! Every time I go away on holidays I miss it so much! These look lovely Aimee, so pretty and inviting! I've got the Flying Apron's book but haven't made anything other than the bread - which turned out like a rock!!! I love the addition of gram flour, it really helps to bind the ingredients, I must dig it out and look at the other recipes there.